Is Colm Cooper going to make a shock return for Kerry today? The Gooch is wearing number 28 on the bench for Kerry. Is Cooper coming back today? COLM COOPER HAS togged out on the bench for Kerry today and is wearing number 28. It was thought that the Gooch would play no part in this year’s championship but after an injury to Darran O’Sullivan, Eamonn Fitzmaurice brought Cooper onto the bench. Perhaps we will see Cooper and Donaghy combining like old times. Is it mind games from Fitzmaurice or is Cooper going to make a heroic return? My lord, Twitter would explode. Email “Is Colm Cooper going to make a shock return for Kerry today?”. 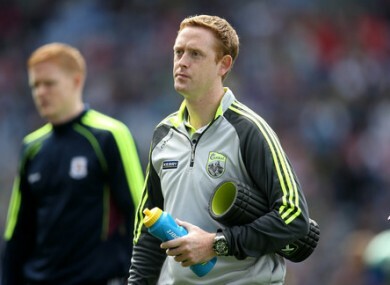 Feedback on “Is Colm Cooper going to make a shock return for Kerry today?”.